Whatever success she has enjoyed, she attributes to the marvelous editors she's had over the years. David Anthony Kraft and Dwight Zimmerman at Comics Interview taught her the nuts and bolts of fiction writing. 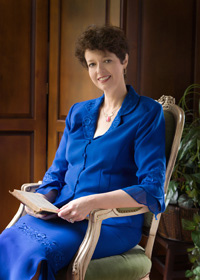 Alexandria Kendall of Red Sage discovered her talent for romance writing and encouraged her to believe in herself. And she will be forever grateful to Berkley editor Cindy Hwang, who has been unfailingly supportive. Angela lives in South Carolina with her husband, Michael, a polygraph examiner and hostage negotiator for the county's Sheriff's Office. The couple have a grown son, Anthony. THE FOREVER KISS, to be published by Red Sage in 2003. BODICE RIPPERS, published by Renaissance E-Books under the pen name Anastasia Day. Be warned: it is NOT politically correct.